Photonet was first published in July 1997. It's the biggest magazine about imaging in Greece. 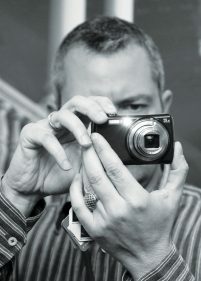 Since 1998, it has been the exclusive Greek member of EISA’s Photography Expert Group. Each issue of Photonet contains the latest and most interesting news from all sectors of imaging, plus all the important domestic and international events in the photographic market. There are also portfolios and interviews from the most talented Greek and international photographers, plus photos from the leading photography festivals, salons and contests in Greece and the rest of the world. There are also in-depth reviews of the newest imaging products (cameras, lenses, printers, smartphones etc.). The tests are made by the members of Photonet’s special technical staff (all of them professional photographers) in our in-house laboratory. Photonet also publishes special advanced articles about Photoshop with step-by-step instructions for the users. The magazine focuses in amateur and prosumer photographers. 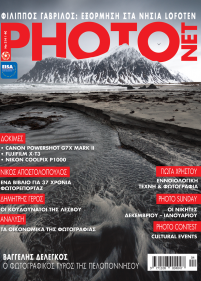 Since May 2015, Photonet is also heavily invested in its website, social media pages and its biweekly Newsletter (https://www.nexusmedia.gr/newsletter-archive/) which is sent for free to 10.000 recipients every Tuesday and Thursday. “United we stand”. We believe that this motto is very true, and we feel very happy to be involved in such a strong and highly respected organization like EISA. Our participation in EISA is highly recognized by the imaging industry in Greece and by our readers.